Who doesn’t love a strawberry, they would have to be THE most popular fruit in the world and it’s easy to see why - colorful, juicy and just so delicious looking and tasting. But I think their real appeal lies in their versatility. There are so many ways you can use strawberries, from adding them to vegetables, cakes and desserts or making fruit salads. But one of the best and easiest is to throw them into a blender in a blender. Their natural sweetness and bright color make for a drink that tastes as good as it looks. 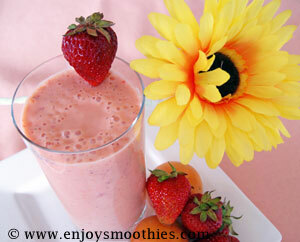 In fact strawberry smoothies are so creamy, they are a dessert in themselves. 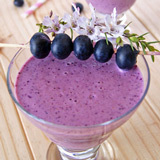 I find they blend beautifully with bananas and other berry fruits – in fact most fruits. 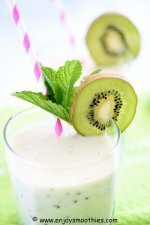 Add some frozen yogurt and some fruit juice or milk and you have a great tasting smoothie. 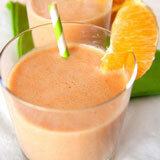 A great trick for making your strawberry smoothies healthier is to throw in some nuts, seeds, grains or honey. 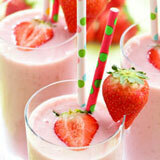 Our strawberry smoothie recipes will satisfy all those strawberry lovers. Choose berries that are brightly colored, firm, shiny and plump with the green caps still attached. Avoid anything that looks soft, shrivelled or dull looking. As they don’t continue to ripen once picked, don’t be tempted to buy anything that is under-ripe thinking it will ripen in a few days. Store your strawberries unwashed in a suitable container in the fridge for 2- 3 days. Wash and hull them only when you are ready to serve them. Hulling means removing the green caps from the top. To do this place the tip of a sharp knife into the soft white part at the base of the cap, then slowly turn the strawberry. The green stem should come away quite easily. Slice and hull the strawberries and peel and de-seed the avocado. 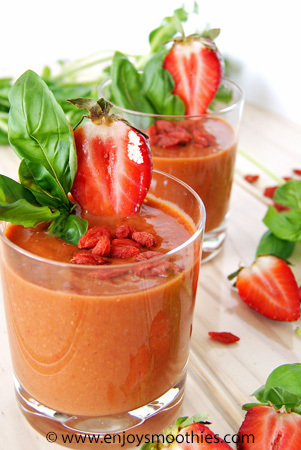 Place the strawberries and avocado into a blender along with the goji berries, pitted dates, basil and coconut water. Process until everything is smooth and your drink is thick and creamy. 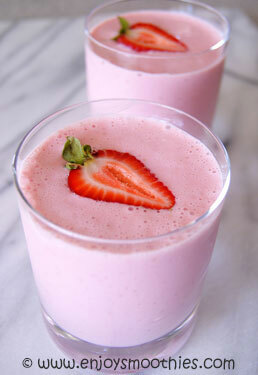 Place the strawberries, yogurt, almond milk and flaked almonds into a blender and process until smooth. A high-speed blender will deal with the almonds quite easily. 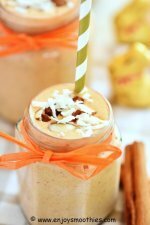 The almonds will give your smoothie a wonderful almond flavour as well as adding creaminess. Pour into 2 glasses to serve and garnish with extra strawberries. Hull and cut the strawberries in half. 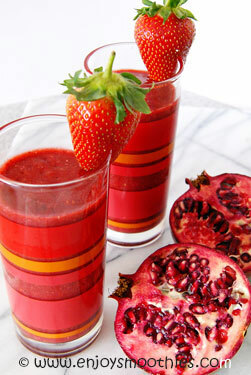 Place in a blender, together with the raspberries, apple juice and pomegranate seeds. Begin blending on low, then turn up to high and process until smooth. Hull and slice the strawberries. Cut the apricots in half and remove the stone. 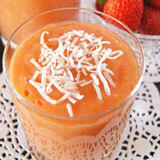 Place the strawberries, apricots, yogurt and milk into the blender and blend for 1 minute or until smooth. 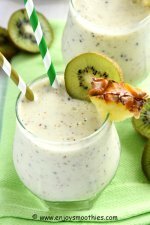 Taste your smoothie and if you prefer it sweeter add the honey.